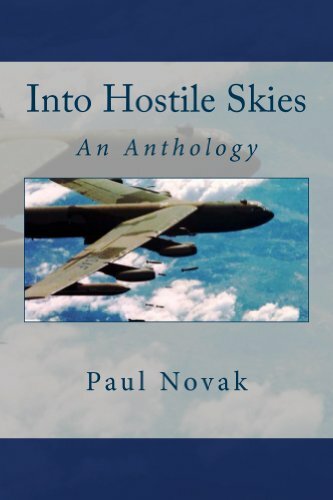 "Over the Fence" is a true story of my Westover AFB crew's SAM-filled night of terror over Hanoi, North Viet Nam in December, 1972, and includes the behind-the-scenes story of Linebacker II. "Last Man Out" is the real-life story of the last man to manually bail out of a burning B-52 during the Viet Nam war after his ejection seat failed. His near-death experience is described as he desperately tries to find a parachute in the airplane, bails out, and drifts, without a raft in open, shark-infested seas for hours. Told by the man who lived it, former Capt. Myles McTernan, his co-pilot William Milcarek, and aircraft commander, Jerry Wickline. It tells the story of his crew's survival as well. "Nonstop Around the World" is the story of Capt. Wayne Hesser, lead radar-navigator, and his crew as they circumnavigate the globe nonstop during the dangerous Cold War era. Their purpose is to rendezvous with the USS Nimitz halfway around the glob and to surveil the Soviet navy. But they must cross Gadaffi's Line of Death to do it. "B-52, History, Icon, Legend" is the tale of the mighty aircraft itself, born in 1952 and forecast to fly into the 2040s. This is the story of its past, present, and future as well as current plans to replace it around the mid-century mark, and what that replacement might look like. As well, we will explain the rumor that when the B2 Stealth bomber retires, it's crews will hitch a ride home in the B-52.